Staying in a houseboat is a soothing and distinct experience that you cannot get everywhere. If you are looking for dependable houseboat services then contact Holiday Station. Located in Panaji (Goa, India), our houseboats offer a comfortable and relaxingstay to the travelers. 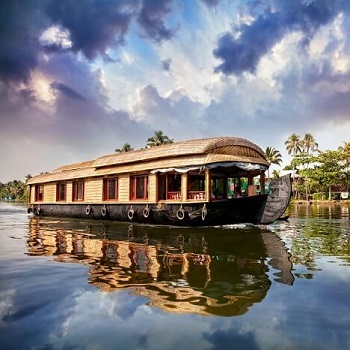 With our help, one can book budget and luxury houseboats in Alleppey – Kerala. Moreover, the houseboats also have various sources of entertain that keep the guests engaged. The houseboats are available in different sizes varying from 1 to 4 bedrooms. So, feel free to contact us and avail the best deals on our services.